John is a self-taught hunter from Michigan that attributes much of his success to the fact that he wasn’t mentored by a relative or friend on old school hunting methods, techniques and habits. He learned through trial and error and due to his intense attention to detail and desire to succeed, through the years he’s developed tactics and strategies that have equated to consistent success on mature bucks in heavily pressured areas. John has been exclusively hunting from a saddle since 1981 and currently has 31 bucks listed in the Commemorative Bucks of Michigan record book. These bucks came off 19 different properties in 10 different counties with many coming from public land. 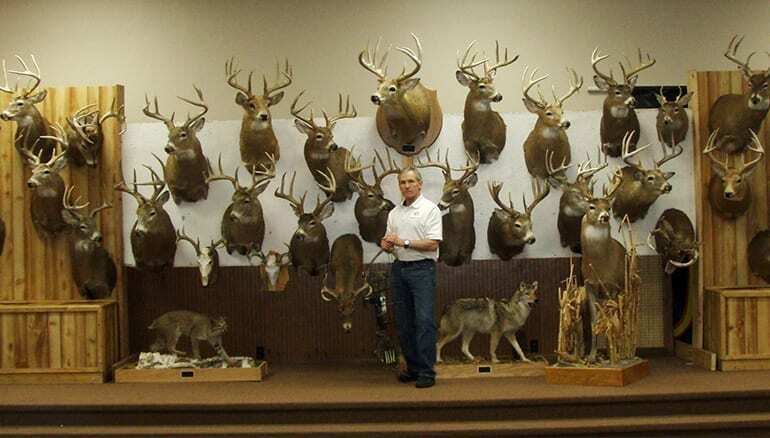 What separates John’s accomplishment of having taken exactly 50 record book bucks (31 from Michigan and 19 from out-of-state) from 32 different properties from any other whitetail bow hunter in the country is that 100% of his hunting has exclusively been on public, free walk-on, cold-call for free permission, and knock-on-doors for free permission properties. He has never owned, leased, hunted a managed property, hunted a relative’s property, or paid a dime to hunt anywhere.